Arab, Northern Yemeni people began to move to the USA to flee the impoverished conditions of Yemen, they simply wanted a better life for their families. Many moved into the Detroit, Michigan area and began working in the American Automotive Industry. A large number of first generation Yemenis came to America many years ago when Detroit was a very successful city and have since retired and have had children that have gone on to be very successful in their chosen profession. Often before a man would move his entire family to the United States he would come for a year or possibly two to work then after he had saved the money and found a good place to settle he would bring the rest of the family with him. Most Arab, Northern Yemeni people are devout followers of Islam. The women still wear traditional dress and the men will still marry Yemeni women. They are very close to other Arab people in their communities and can retain much of their culture while living in the USA. Their closest relationships though are with their families. They have very close ties to their family and they rely very heavily upon one another. They find it very odd that Americans would leave their homes when they turn 18 and not stay behind to help and care for their parents. Pray that God would show the Arab, Northern Yemeni people of their need to rely on Him. 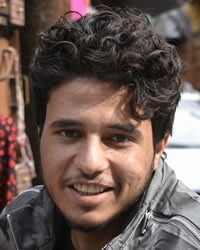 Pray that the Church in America would begin to reach out to the Arab, Northern Yemeni People.